I am finally making progress on my playroom/studio space! I ordered the fabric ages ago and it's been staring at me... for ages... wondering when I plan to use it. Do you remember my grand plans for the room? The challenge is to create a space that works for me (girly!) and my boys (definitely not girly). I am happy to report that Project #1 is complete! 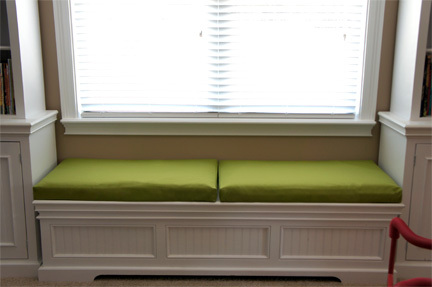 Toy storage bench cushions! This is the third time that I've made over these cushions and each time, they get better. They do! That might mean that I've learned a few tricks along the way. All you need is three pieces of fabric and foam. 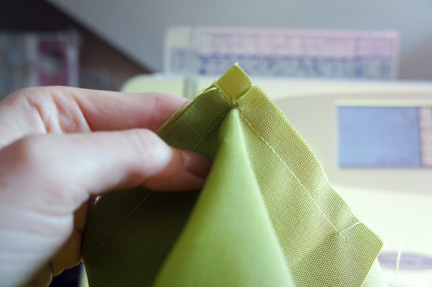 Use this simple equation on the diagram below to figure out what size to cut your fabric pieces. Join all three pieces together, end to end, with the pieces aligned in the center (see sketch). My finished cushions measure 39" wide (W) by 21" deep (D) and they are 3" tall (H). 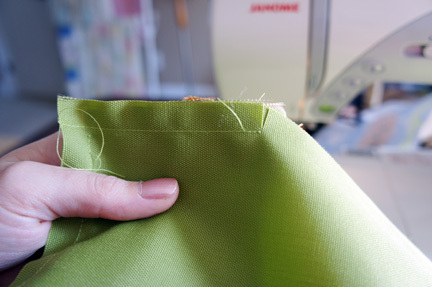 Begin your line of stitches 1/2" from the edge of the fabric and use a 1/2" seam. 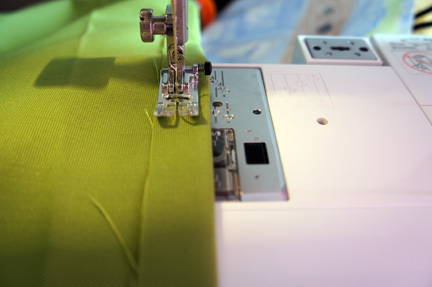 Be sure to backstitch each of your seams. I'd be the first to tell you if you could skip this step, but it's really important for this project. 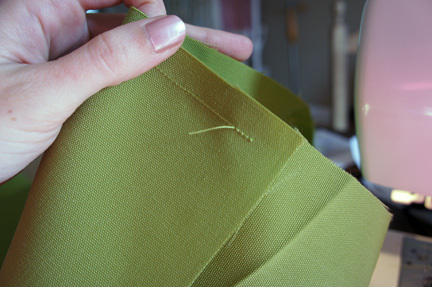 Turn the ends of your stitched panels 3/4" toward the inside of your pillow cover and stitch into place. 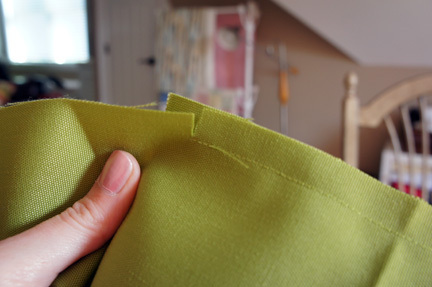 Clip into the selvage of your middle panel, just shy of the seam. 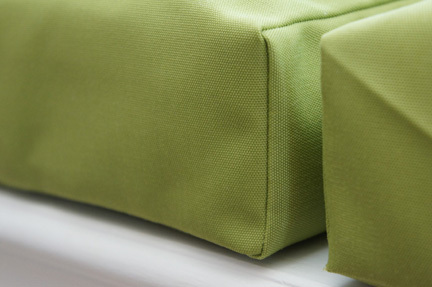 That way you can turn your fabric to start creating a boxed corner for your pillow. Stitch in place, stopping 1/2" from the edge. Repeat for the other corners. 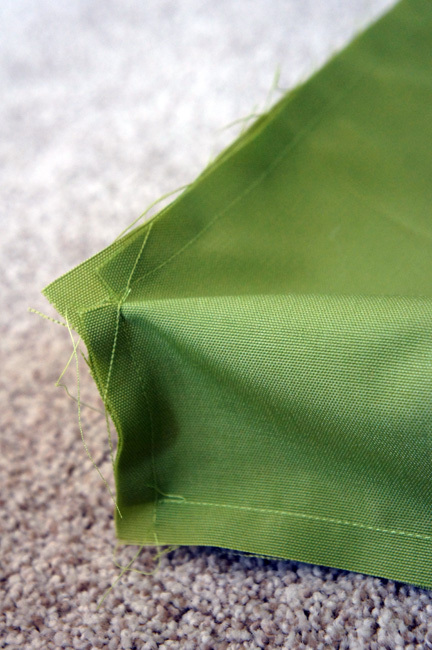 Clip the long edge just shy of the seam. 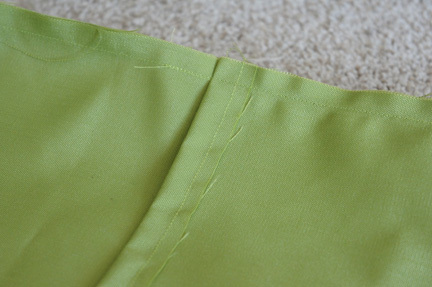 Pivot and sew the long edges into place, sewing past the hemmed end (be sure to backstitch!!). 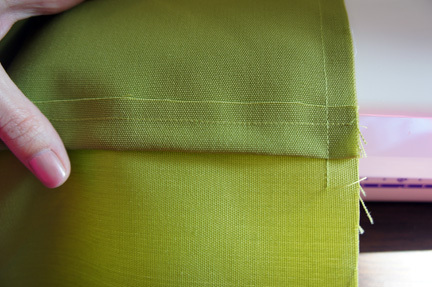 Finish one side of your pillow before stitching the other end into place. This will help you to form the envelope flap in the back. This is how your boxed corners should look before you turn the cover right-side out. 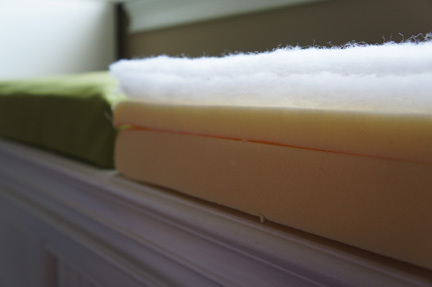 And here's how your corners should look once you've turned the cover right-side out and added your foam inserts. Okay. So, by now you know that I always search for the more economical route. I wanted a 3 inch cushion with a soft top, but good foam is EXPENSIVE! Here's how I achieved my desired height. I hope I did an accurate job of explaining the "how to." 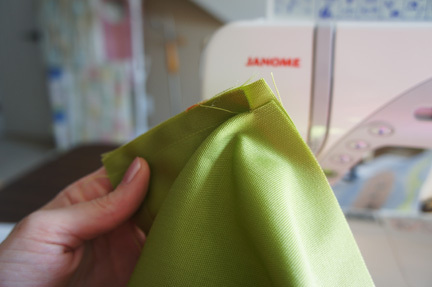 It really is one of the simplest sewing projects you'll ever attempt. Promise! Now, on to window treatments!